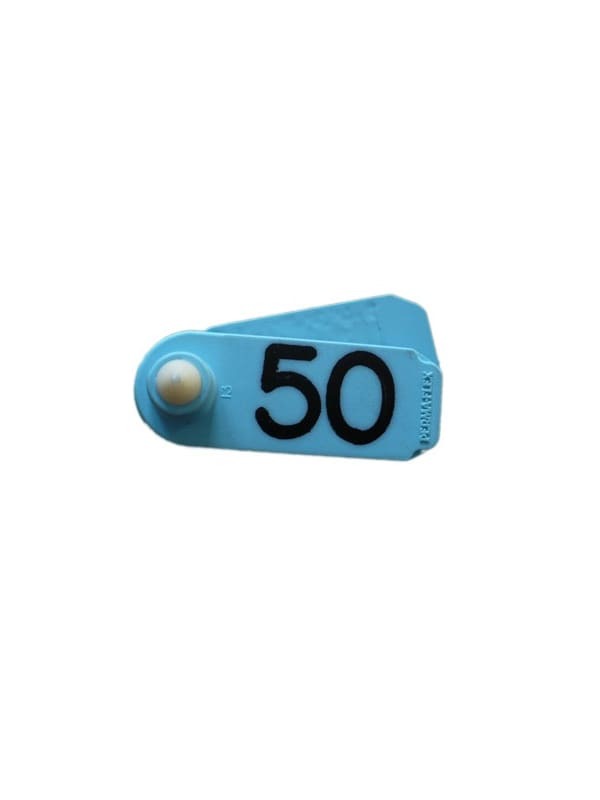 Tags are large enough to accomodate nice size digits for numbering, or even an additional line of text on the top or bottom line if a smaller size number is acceptable. The male/female set comes with the stud and uses our standard applicator. Customize your numbers or add text by using the optional features below. Please note that custom printing may take up to 15 working days. 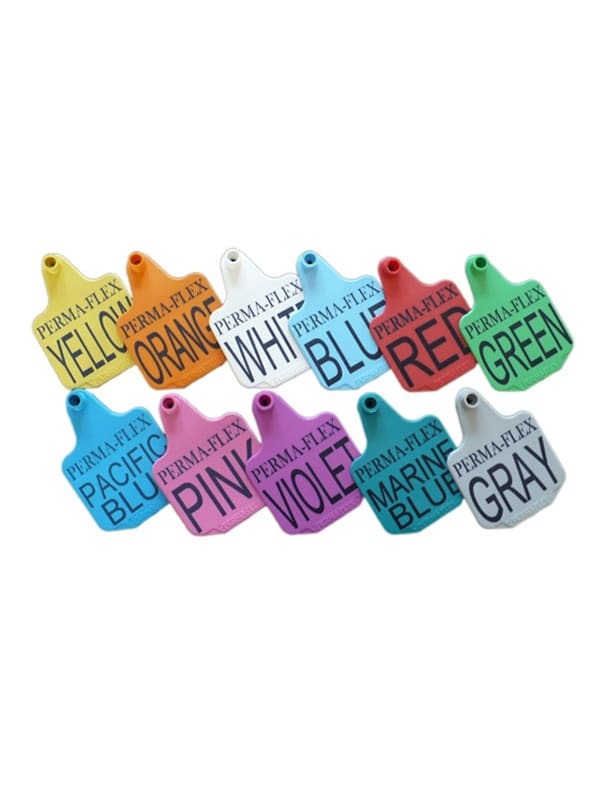 Perma-Flex sheep tags are made from durable, weather-resistant polyurethane and contain UV stabilizers to prevent the colors from fading. They come in popular colors for lots of coding options. The oblong shape is 2 3/8" x 7/8" and is a recognized standard in successful sheep tagging.